Honestly, I could care less if this rumor comes to fruition or not. I have a great MP Bee for my collection. But for the super toon fans, this would be very nice. I'm also not mad at a toy company for making toys. This has me wondering, if this and 44 were to mark a major shift in the direction for the line, would it then make all the + versions null and void? 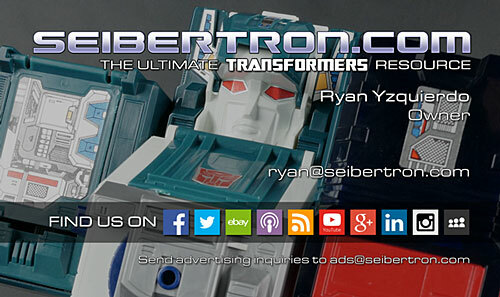 Including the soon to release Wheeljack+. Would all those characters get a reduex too? Depends on if they needed it I guess to fit closer to the proportions in the cartoon. RK_Striker_JK_5 wrote: I really hope this is false. There's so many other characters that deserve a shot. Bumblebee has a great toy already. I mean seriously, after that overpriced Prime 3.0 this is getting ridiculous. Well, might be, if it turns out to be true. Gimme Hound! Personally I have no horse in this race, so what Takara is doing here in general, doesn't concern me in the slightest. However, as I mentioned earlier and in the General MP thread, I do only feel genuine sympathy for those fans waiting patiently for their character to make it into this line. As the MP+ concept is essentially a reset button for the G1 MP collection. I only support the Beast Wars MP line, which is all I'm interested in. There won't be any other versions of most of those characters because they are already designed around the show model, with added detail. As for prices, BW Megs is expensive but he is the ceiling in scale. No one is bigger in Season One. So I don't mind buying one figure at that price. Everyone else scales down significantly until Rattrap and Blackarachnia at the bottom end. Season Two on the other hand, would be pretty pricey in terms of escalation. Primal and Megatron loom in scale over Season One Megs and Rampage even higher over them. 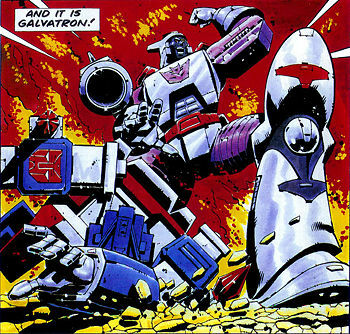 But Transmetals are a distant pipe dream, much like MP Galvatron. It’s all about licensing. That’s the thing to remember. They can’t just make any character that has a licensed alt mode. They have to pay to use that car model. 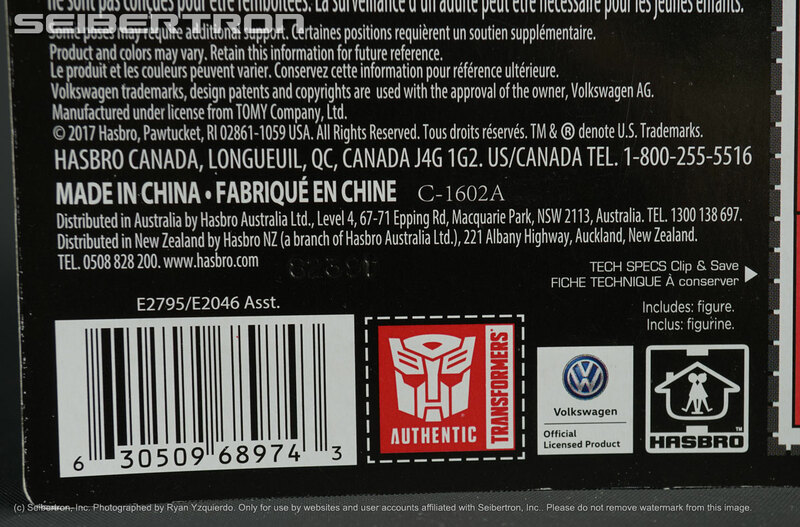 Right now Takara/Hasbro has it made with Volkswagen-which to me- is a blessing considering over 5 years ago VW refused to touch transformers. Nobody here can seriously say this is the first time they haven’t made these posts about why arnt they doing other characters. Well I'm excited. While I do like the original and it is currently the best Bumblebee possible it's far from perfect. The alt mode looks wrong (even though it's right), the backpack doesn't belong there and the forearm kibble is unsightly. I see this as the first of hopefully many Mini-Bots that choose cartoon accuracy over shoehorning in a real world car alt mode. Not just Cliffjumper, but other regulars like Brawn and Windcharger. What better way to start than with the most prominent of them all? If they started with Cliffjumper we'd then have people complaining that Bumblebee wasn't first so there's really no way for Takara Tomy to win, this was just ripping of the Band-aid as fast as possible. Spike mentioned in there is a little strange since we're already getting the best version we can from MP-44. Perhaps they're taking another stab at the exosuit? 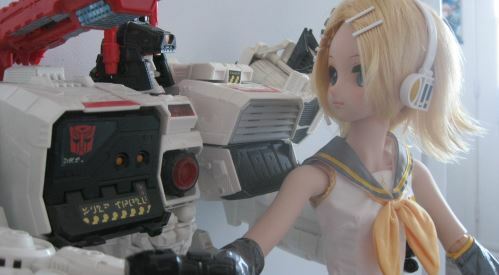 Or maybe a slightly larger figure to be better in scale with the other figures in bot mode? If they include, say, a 3" fully articulated figure then I could understand the higher price. Also, Wonder Festival 2019 Winter is this weekend (2/10) in Japan so if the rumors are true and pre-orders start in one week then we'll definitely see Bee there. If they can pull off a 100% cartoon accurate G1 Bee in BOTH modes without partsforming, I will be impressed. But would they complain? Forgetting the timing to parallel with the release of the Movie in Japan, A MP Bumblebee already exists. So I think fans would have been overwhelming positive in welcoming a MP Cliffjumper to the line, over a 2.0. No, people would complain that it didn't match with existing fellow Mini-Bot Bumblebee's realistic alt mode. It makes more sense to start over than to do other guys like Cliffjumper first and leave their star character as the odd one out with his realistic alt mode and (compact) bot kibble. The only way doing CJ first would have worked would have been if they announced both at the same time and released CJ first. Somebody *definitely plural* would complain. Especially on the internet. Probably in this forum. On this thread. sol magnus wrote: Somebody *definitely plural* would complain. Especially on the internet. Probably in this forum. On this thread. GOD himself would come forth from Heaven and grant the Chalise of Eternal Youth, and "fans" would still have something to complain about. I mean, maybe if they hadn't completely changed the MP "look" in the first place this wouldn't be an issue? If he's really gonna be MP-45, where the hell did Hound go? We saw him months ago! D-Maximal_Primal wrote: If he's really gonna be MP-45, where the hell did Hound go? We saw him months ago! Once again Bumblebee bumps off a fellow Autobot. Just like when MPM-7 VW Bumblebee came out months ahead of MPM-6 Ironhide it looks like MP-45 is going to be released before Hound even though we saw a hand painted Hound first. I'm very interested in this. If this means they can drop the VW license and thus a big chunk of the price, it could mean a new avenue to explore in the MP line. With that said I felt the original MP Bee was a bit overpriced for what we got, so I'm probably going to have "issues" with this release. chuckdawg1999 wrote: I'm very interested in this. If this means they can drop the VW license and thus a big chunk of the price, it could mean a new avenue to explore in the MP line. With that said I felt the original MP Bee was a bit overpriced for what we got, so I'm probably going to have "issues" with this release. would making the altmode cartoon accurate be different enough from a real VW beetle to bypass VW's approval? Super deformed "penny racer" G1 Bumblebee is a licensed VW product now, so that should apply also to a super deformed VW Masterpiece figure as well. I thought that might be the case. 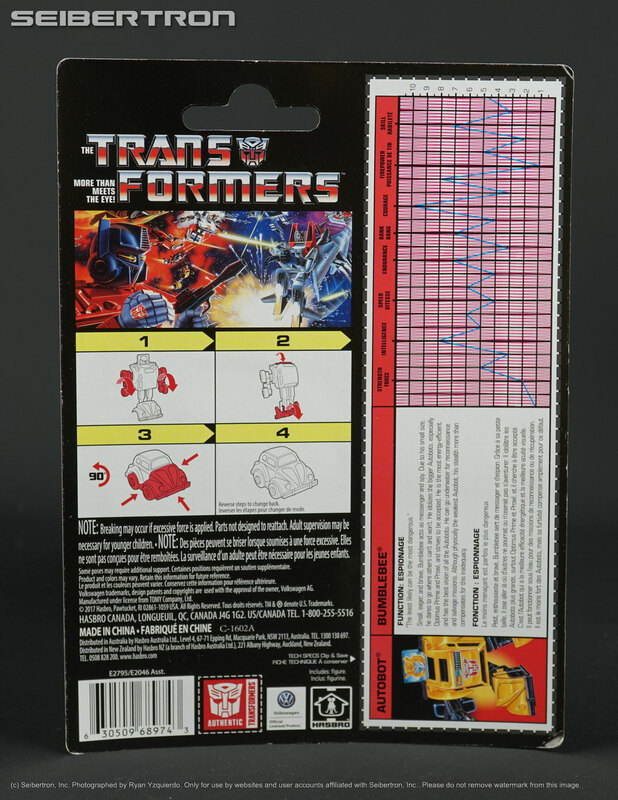 It's not exact but you can tell G1 Bumblebee is meant to be a Beetle and thus something that is based on another companies work. Indeed. It's hard to mistake something like the VW Beetle front, even on the cartoon. 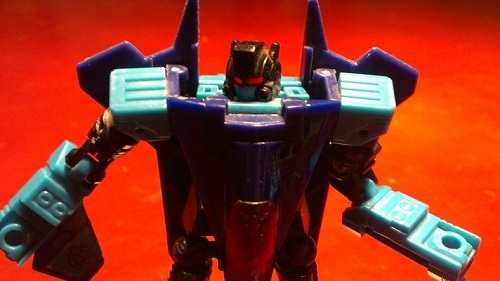 However the other Mini-Bot alt modes are much more generic looking and probably can get away without licenses. Not sure if this thought has been tossed out, but (with the new MP18+ announced) what if this new MP Bee is just MP21+ and the rumor is mistranslated? The new cartoon accuracy is just deco? Micro Change. Car Robots was a Diaclone subline. 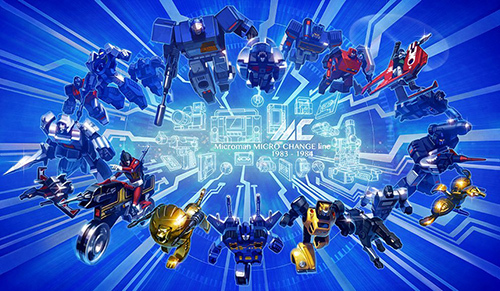 Alternatively, with Hound out there somewhere and yet another MP+ announced, are the new cartoon accurate figures going to become their own sub-line within the Masterpiece collection?